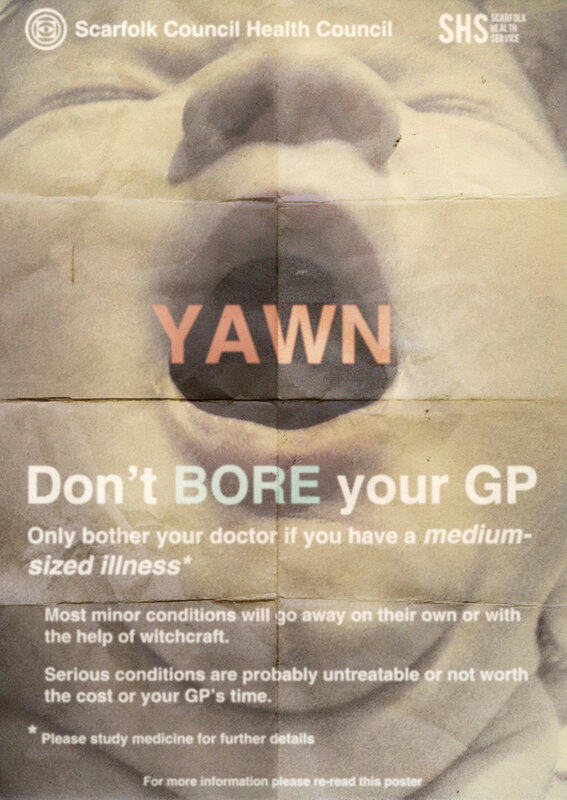 By Daisy Payling in Blog Posts, Uncategorized | October 27, 2014 | Comments Off on Public health posters: beyond parody? 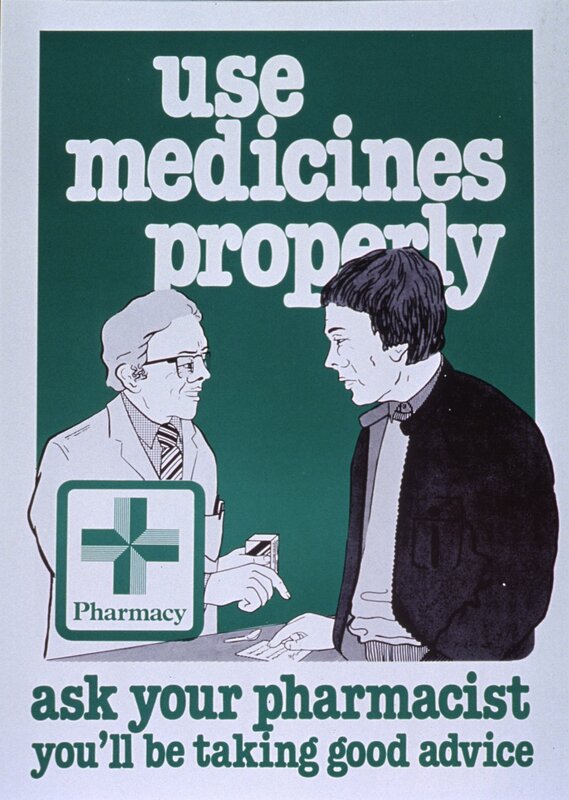 Poster produced by the Royal Pharmaceutical Society of Great Britain, 198?. 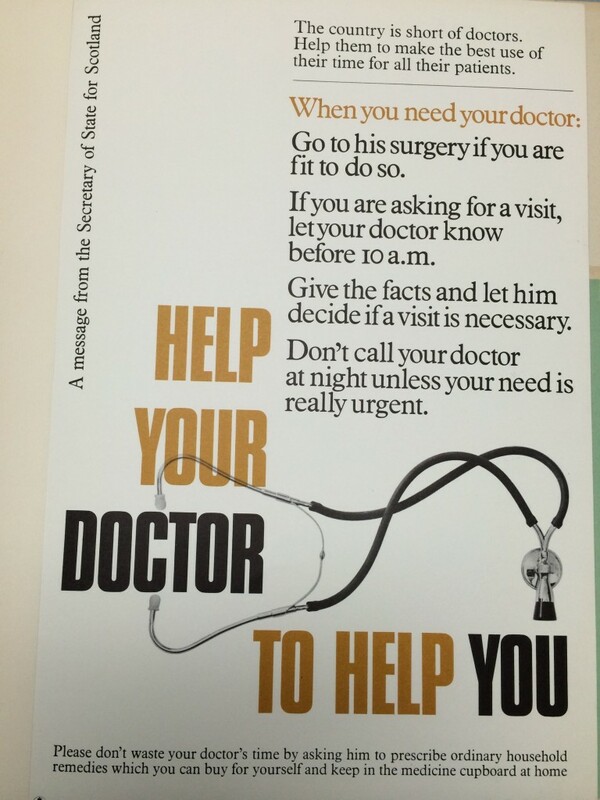 Image in National Library of Medicine Collection. 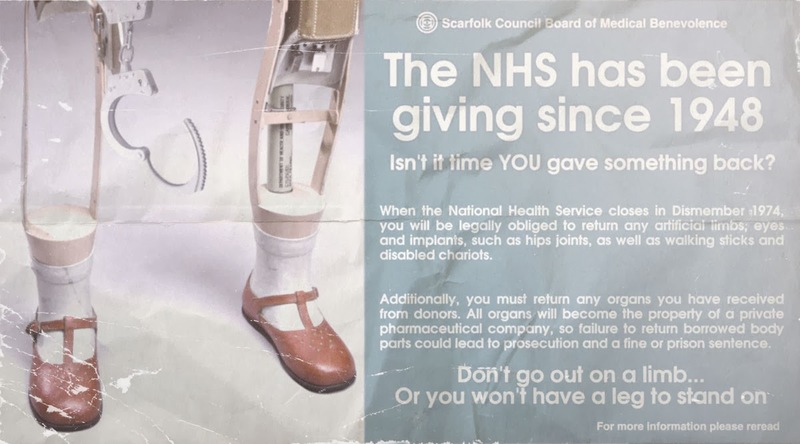 Indeed, this isn’t a concern that has gone away – see for instance the recent campaign to get people to call 999 for life-threatening emergencies only. 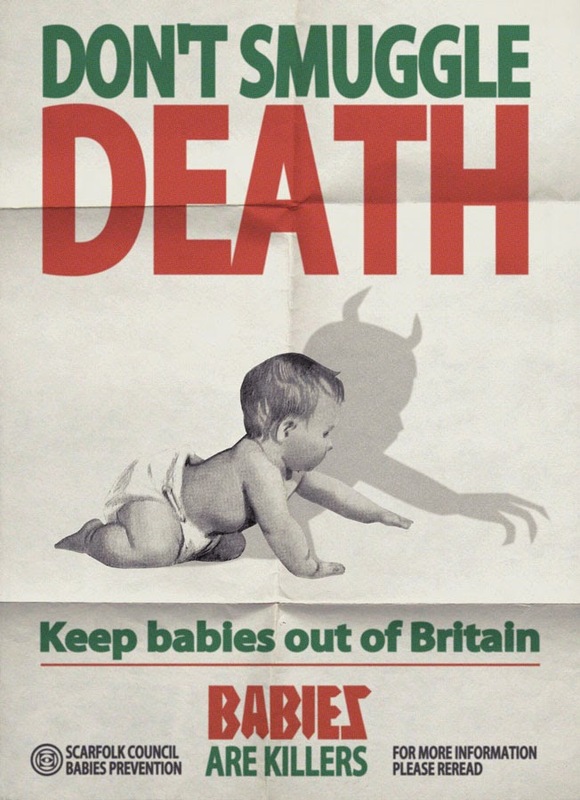 So why are these posters so open to parody? 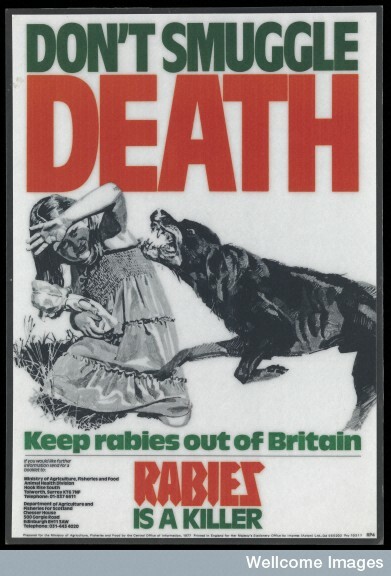 There’s nothing amusing about rabies and the problems of NHS resources aren’t exactly a laugh a minute either, but the ways in which these posters communicate their messages seem clunky to a contemporary viewer. Have we become more sophisticated in our appreciation of visual techniques, or, like hairstyles, do some modes simply go out (and in?) of fashion?